Archangel is set in a post-apocalyptic America during the year 2089, players will assume the role of Gabby or Gabriel Walker, codename “Guardian,” who is selected by the United States Free Forces to lead the resistance against the tyrannical corporation HUMNX, a private conglomerate that governs what is left of our ravaged nation. Players enter the cockpit of a six-story-high war machine and use strategy and skill to fire upon enemies with a wide array of high-powered weapons, protect allies from the onslaught, and lead their squadmates into a high-stakes VR battle. Archangel is a great story of love and the lengths you will go through for it with mechs. Players are instantly immersed in the story from the very beginning. I chose to play the game as the female character Gabby. Yes, I know you can play the game as the male character, Gabriel, but I really wanted to play as the female character for this review. What I found strange was the fact that while I do not have any children in real-life, I found myself feeling a deep connection with my in-game son, Patrick, within the first ten minutes of the game. We were both very comfortable in this futuristic setting. It had become the norm in our lives to be wary and mindful of the terrorist entity known as HUMNX. Needless to say, the character interaction within Archangel was extremely well done. The game puts you at the helm of your very own giant mech. It’s a one of a kind mech that comes equipped with artificial intelligence that somewhat melds with you and even experiences your emotions. After being acquainted with your mech’s AI, you enter a brief training session which creatively adds an interesting dynamic to the storyline. You find out that Walker is dealt a devasting blow and all hell breaks loose. Archangel keeps the player engaged by giving them the ability to blow stuff up from a six-story-tall mech. However, the game is more involved than that. It’s interesting to see the evolution of Gabby after each mission. Her flashbacks allow you to dive even deeper into her backstory. Even her interactions with her team members reveal different aspects of her relationships with them. But let’s dive into the gameplay. I really wanted to compare Archangel to MechAssault but it actually exceeded my expectations. It’s very much an arcade style game that puts all types of boom toys at your fingertips—Missles, Machine Guns, Shields, and a weaponry arsenal that gets stronger with upgrades, which all makes for interesting encounters with your enemies. As you progress through the game, the enemies’ levels of difficulty increases. You are tested on how well you’ve mastered your weapons and shields which evolves into a game of tactics as you have to out-think, out-maneuver, and out-shoot your enemies. While I am a VR fanatic and have experienced sensitivity and motion sickness while playing some VR titles, I did not experience that while playing Archangel. I found that VR games that rely heavily on eye-tracking at a rapid pace or those that have rapidly changing frames that are not fluid actually give me issues. I think that because the mech moves on its own while you use either the Move or the Dual Shock controller to aim this helps overcome that issue for the player. Now there are some negatives I observed. While they are a few, they are undeniable. They include the long loading screen times, some steel scenery where sometimes the support characters in the environment are not interacting. It’s like they are in dead frames. The on-screen character’s audio is sometimes not synced with the movements of their mouths which distracts from the quality of the character interaction. Overall, it’s too short of a game. There are no alternate endings so there’s very little replay value. If they included some side missions or challenges this would have at least helped. Overall, Archangel finished strongly in my book. It’s definitely enjoyable, has some epic battles and just some great gameplay and a great story. Definitely go out and pick this up and let me know what you think! Timberly “Timbo” Battle is a gamer, a wife, and one of the first ladies of The Council – a group of friends that met through online gaming. This group has now become like family and collectively created the website, WhatsUpPlayStation.com, The Council Podcast, The Online Arcade, and PlayStation Nation All Stars on Facebook. Timbo has been gaming since the release of Pong, so she’s definitely a veteran. 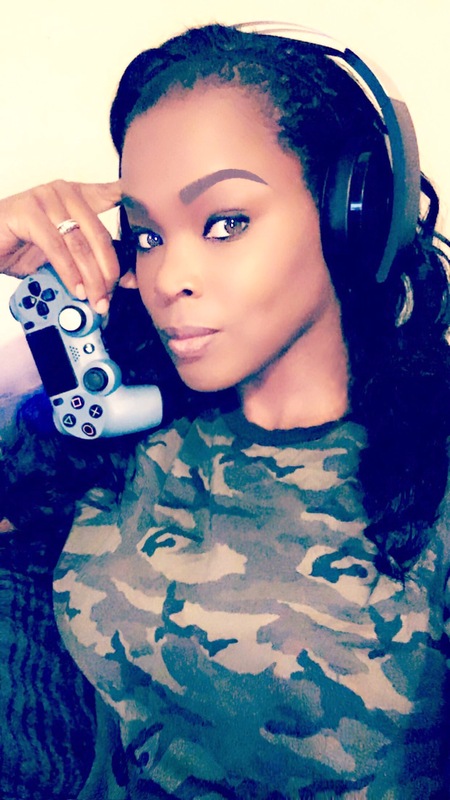 When gaming, you’ll usually find her on first-person shooters, fighters, adventure games, and puzzle games, but she a deep love for survival horror and psychological thriller games – especially those with decision-making options. She often streams the games that most people are afraid to try due to her daring nature. She deeply admires the mind of Hideo Kojima and his creations. She also attends many gaming conventions with her favorite being PlayStation Experience (PSX).